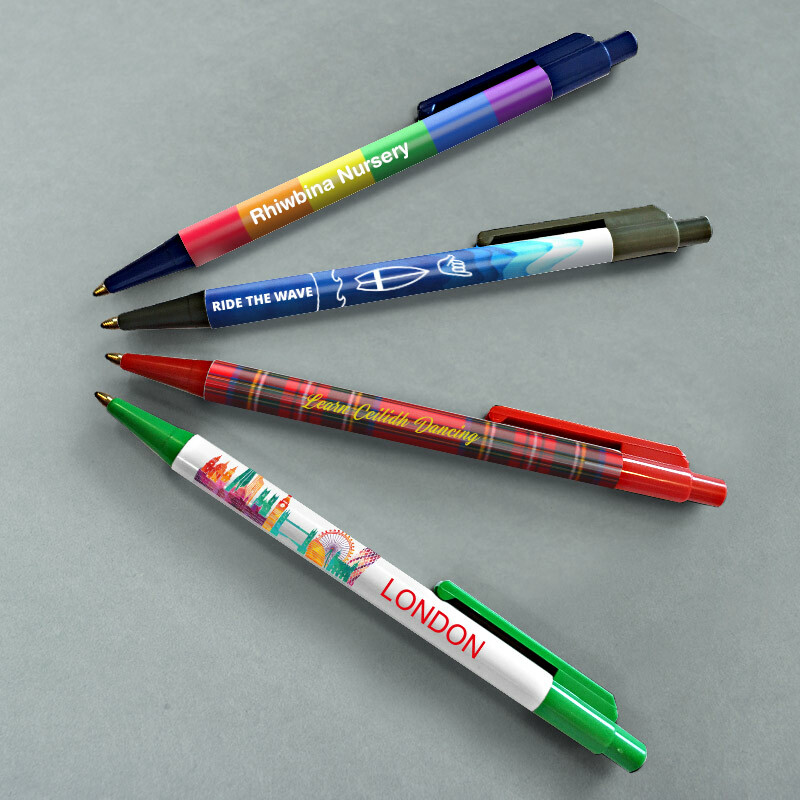 Please note, text and logos will run left to right, with the pen tip\non the left, and the clicker end on the right. 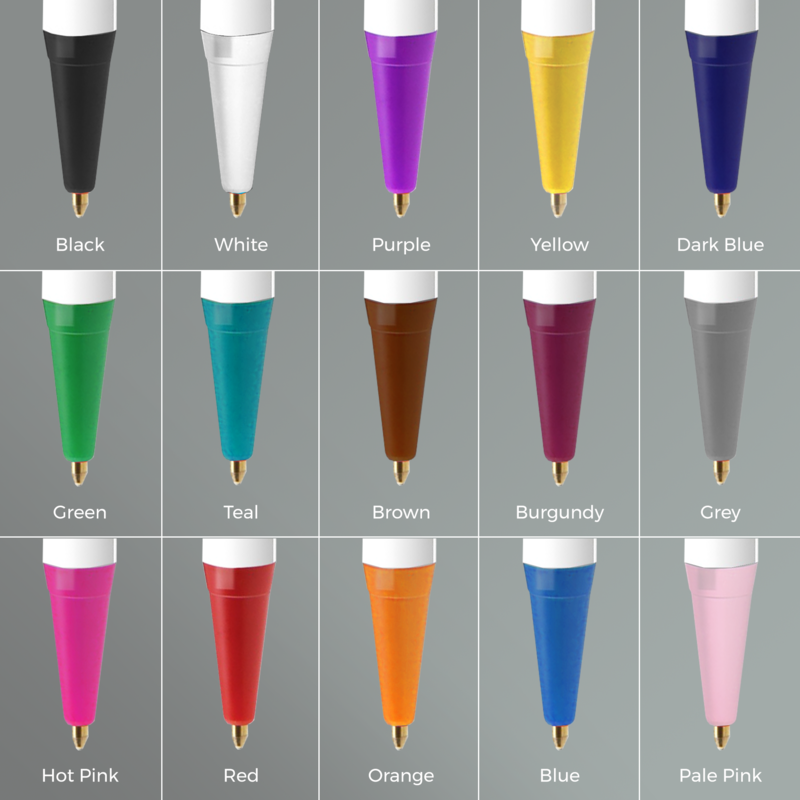 Our promotional Pens offer high quality with a lengthy lifespan, 15 trim colours and black ink. 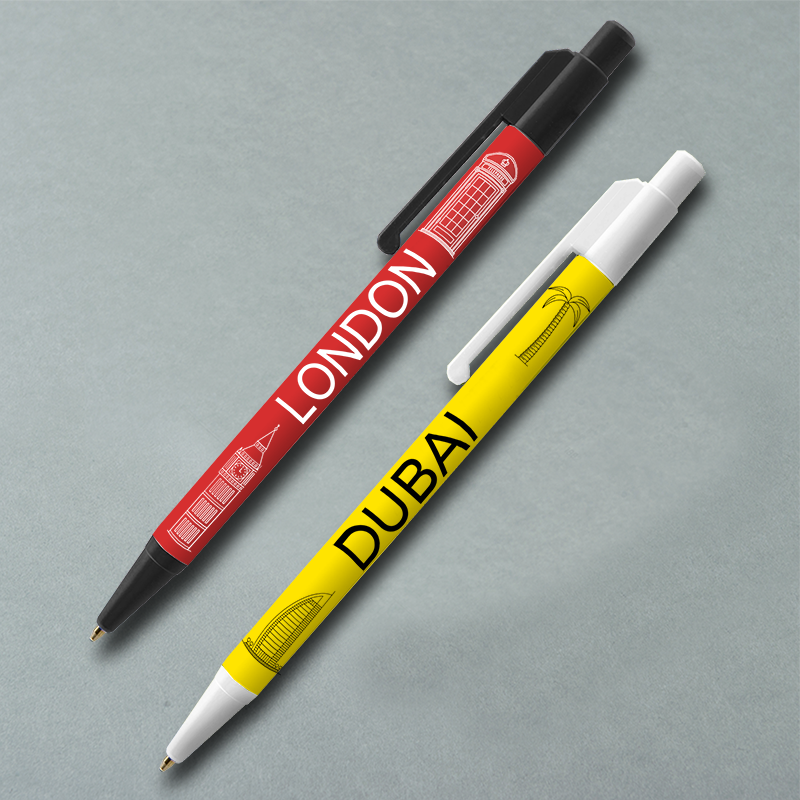 Easily brand these click-top, plastic biro pens by adding your logo, company name and web address. 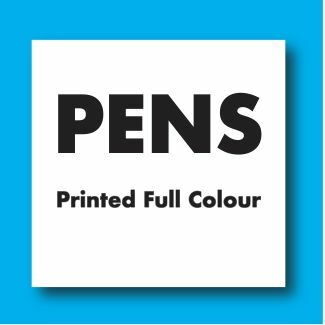 Our printed pens have a minimum order quantity of 100 units. Please use our templates to quickly set up your artwork files. Please note, text and logos will run left to right, with the pen tip on the left, and the clicker end on the right.